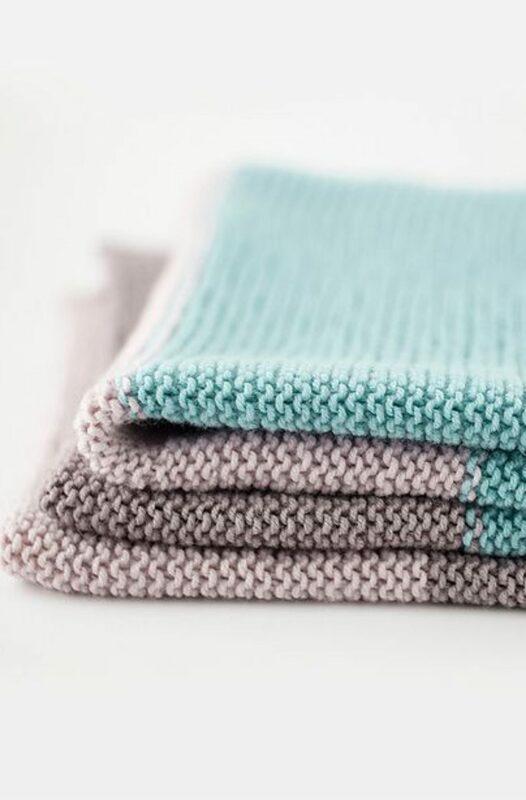 What could be a better way to celebrate spring than to make some easy Easter knits?! From using leftovers yarns in your stash to one skein projects, there is something for everyone. 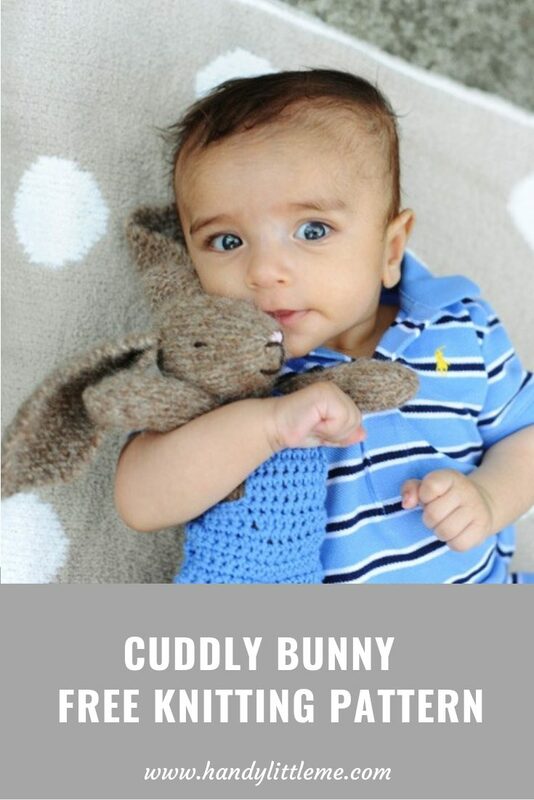 There are cute makes for baby, a floppy cuddly bunny and of course matching bunny ears that you can wear! The majority of these patterns are beginner friendly, making them easy for you to follow with step by step instructions. If you are new to knitting, the patterns use basic stitches like knit and purl, with some increases and decrease to shape. 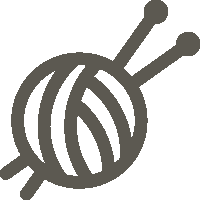 For any help with the stitches or the abbreviations, take a look at the knitting tutorials. Included in the pattern roundup are baby knits that are quick to make up. Reader favourites the bunny slippers and matching bunny hat is available to make in three sizes. They can be made in soft yarns and for those of you who don’t like to knit in the round, you will be happy, as they are knit flat and then seamed. 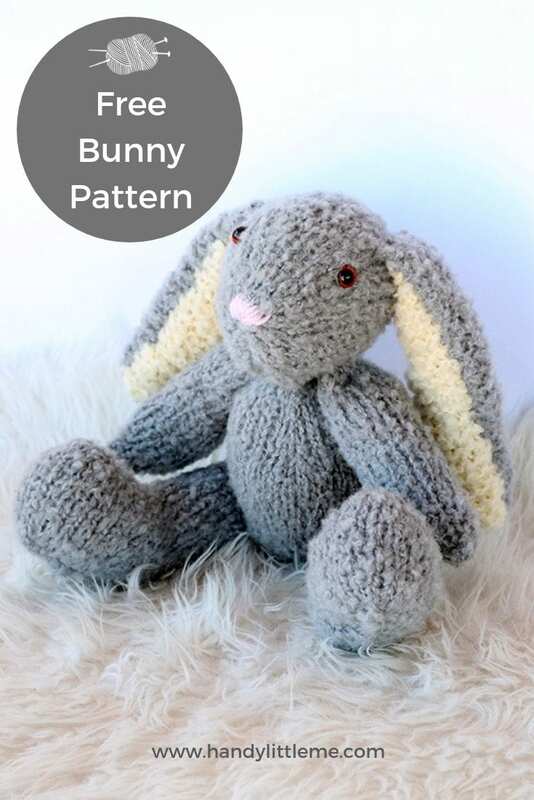 If you want to make a bunny for your little ones, there are three patterns to choose from. A large floppy bunny made from a mohair boucle yarn, a smaller sized bunny and a modern bunny softie. All of them are cute and look ready for cuddle time! 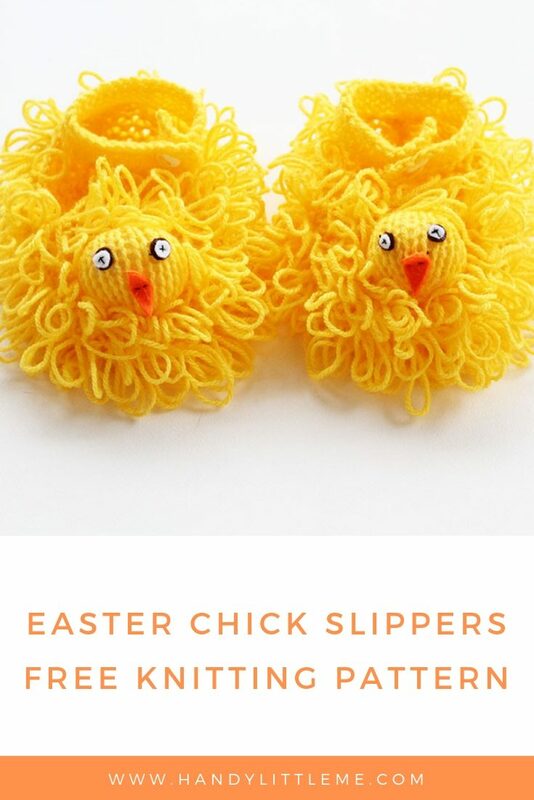 You can also make a pair of Easter chick slippers using the loop stitch. Or knit a bunny ear hat with floppy ears in the round, which is available in baby and toddler sizes. 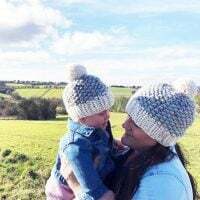 This hat pattern is a reader favourite and looks great in any colour. The bunny headband is really easy and fast to make, and with a little knitting knowledge, you are good to go! It can be made in various yarns and there is even a pattern for a nose warmer and bunny whiskers to match. The nose mitten is really funny, so I am sure it will be a hit if you wear it as part of your bunny costume! 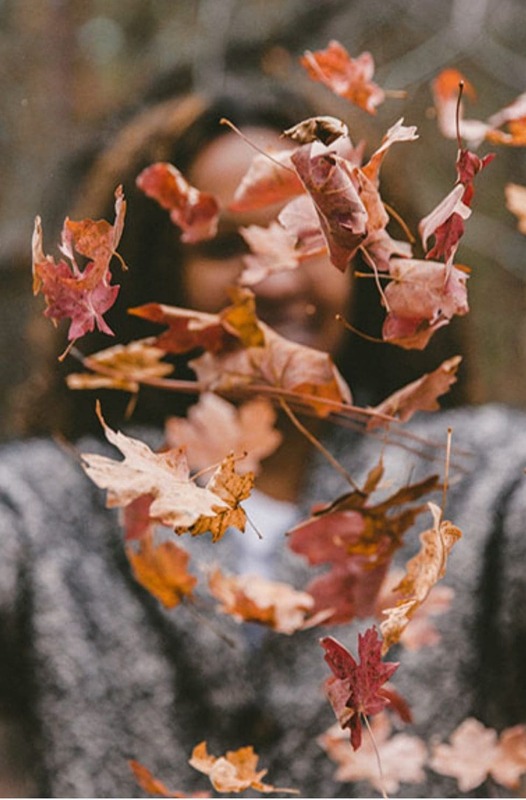 Whatever you decide to make, enjoy this list of free patterns! 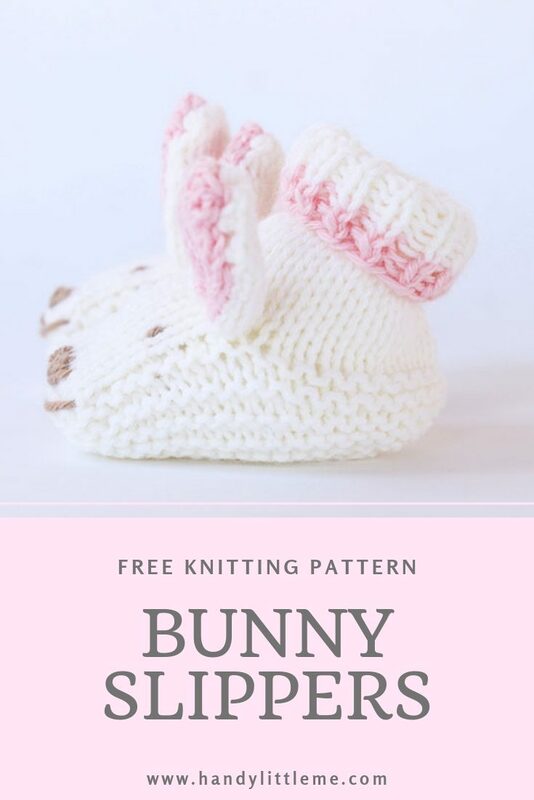 Make something fun this Easter with one of these free Easter knitting patterns. 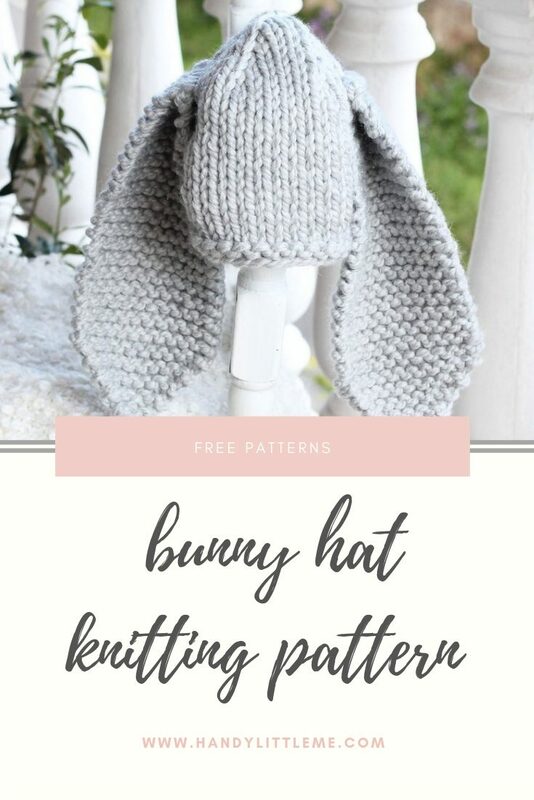 Make a big floppy ear bunny with this free pattern. 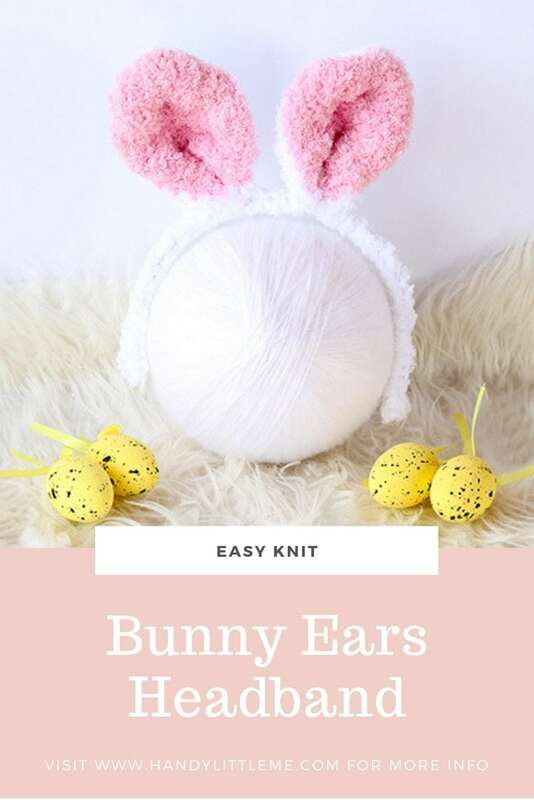 Make a bunny hat knit in the round with big floppy ears for your baby or toddler. This little knitted bunny will make a great gift knit up in any medium weight yarn. Make a fluffy bunny ears headband to wear this Easter! These Easter chick slippers are great for kids and use the loop stitch. Make a sweet pair of bunny slippers for baby, available in three sizes. Make a matching hat for baby, to go with the bunny slippers, available in three sizes. 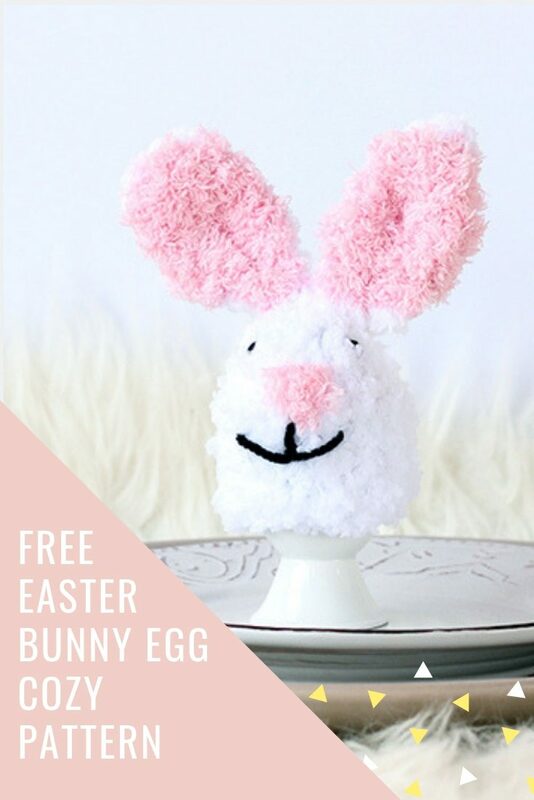 Make an Easter bunny egg cozy with extra fluffy ears! 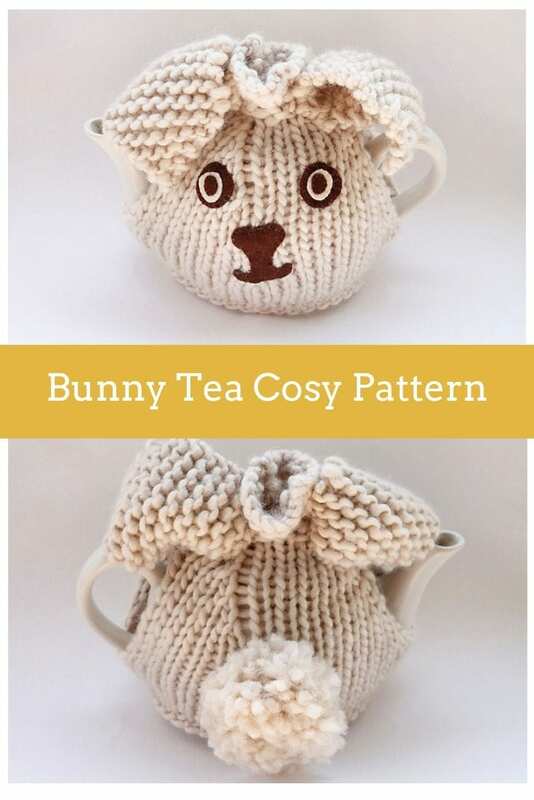 If you want to go all out this Easter, why not make a bunny tea cosy too?! This bunny softie has a more modern design and is super squishy for cuddles. If you enjoyed making the patterns, I’d love to see yours on Instagram, be sure to tag me @handylittleme.